Stay cool under pressure but look good doing it when you pull on this USA Pro Ladies Crop Top in Black. 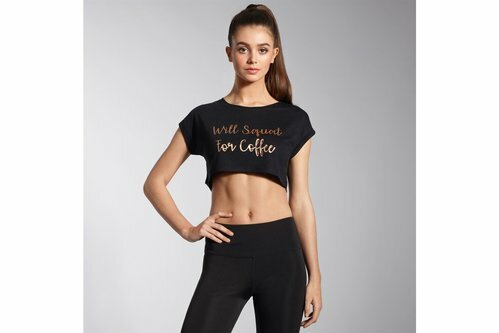 The USA Pro Crop Top features a lightweight construction with a printed slogan to the front. Providing ultimate comfort, this crop has a ribbed neck meaning training can be smashed with no distractions.